Size: It normally attains 10 cm as a male, and 15 cm as a female. Clark’s anemonefish occurs in outer reef areas, where it is associated with various species of sea anemones, whose stinging tentacles protect the fish from predators. It is omnivorous, which means it feeds on a variety of small organisms and detritus. Like other anemonefishes, it starts its life cycle as a male. In absence of a female, the dominant male eventually turns into a female. The species is monogamous with distinct pairing during breeding. Eggs adhere to a substrate and are guarded by the male. The maximum age on record is 11 years. 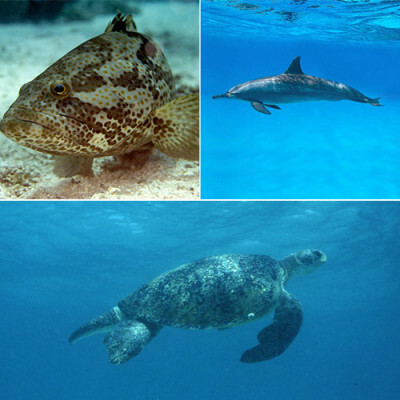 The species is widely distributed from the Arabian Gulf to Western Australia, throughout the Indo-Australian Archipelago and the western Pacific. 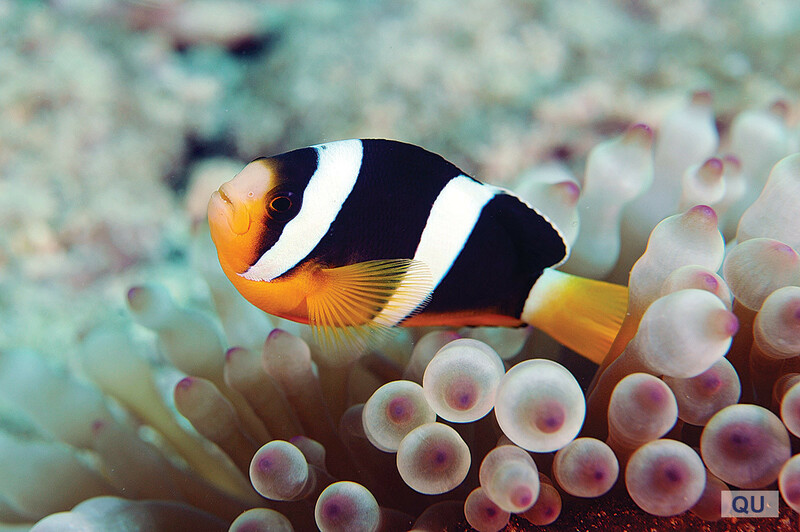 It is the only species of anemonefish or clownfish occurring in Qatar and in the Arabian Gulf. 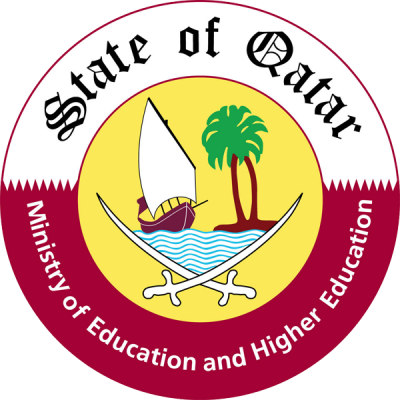 Not yet assessed globally; Endangered (EN) according to a recent Arabian Gulf regional assessment. While not targeted in commercial fisheries, it is an important aquarium fish, which has been successfully bred in captivity. This is a very distinctive and colorful fish, with black, white, and orange-yellow stripes. The color pattern shows considerable variation and black areas become wider with age.